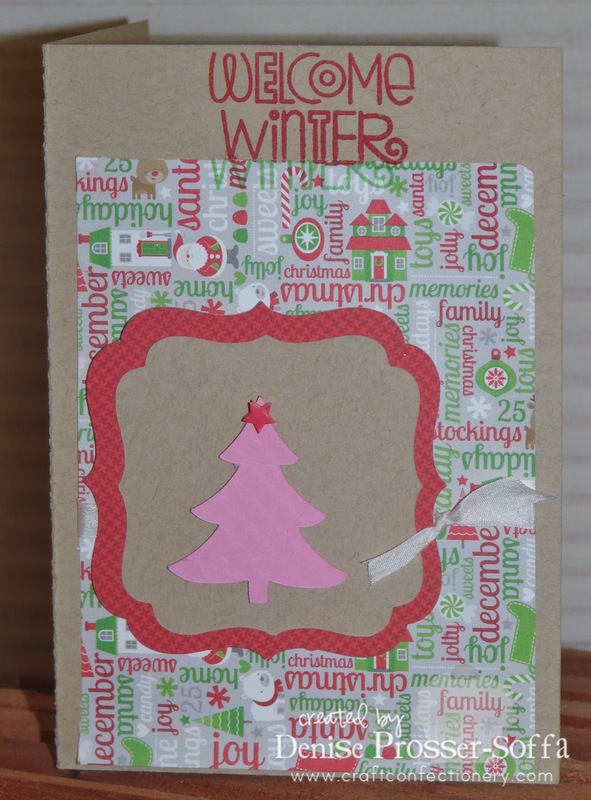 Welcome to the 12 Days of Christmas Blog Hop. This hop will take place November 25th through December 6th and the new postings each day will be posted by 8 am eastern standard time. This hop will be full of wonderful ideas and inspiration to get you well on your way of creating all of those beautiful Christmas project. This is an awesome way to get a lot of your Christmas cards, and scrapbook layouts finished, home decorations completed and maybe even be inspired to create something using a new technique that you have never tried. There will be a new project posted each and every day by all the wonderful amazing ladies in this hop. Also each day we will have a guest designer or two for you to visit. Lisa our hostess will be giving away some wonderful blog candy each day of the hop from the amazing sponsors that we have for this hop. Lisa will be posting all the winners from this hop on December 10th. Every one has a chance to win including the ladies participating in the hop and even the guest designers and the sponsors. At the end of each post we will have a list of all the sponsors who are sponsoring this hop all you need to do is click on their name to go to their sites and check out all the wonderful sites. We want to thank each and every one of the sponsors for their generosity. It has been greatly appreciated. I have all of the sponsors on the sidebar on the left sidebar and you can click on the link and it will take you to them. Also, I will be giveaway some of my own blog candy too! All you need to do is like my facebook page, link is on the right. And like the sponsor’s link as well too! 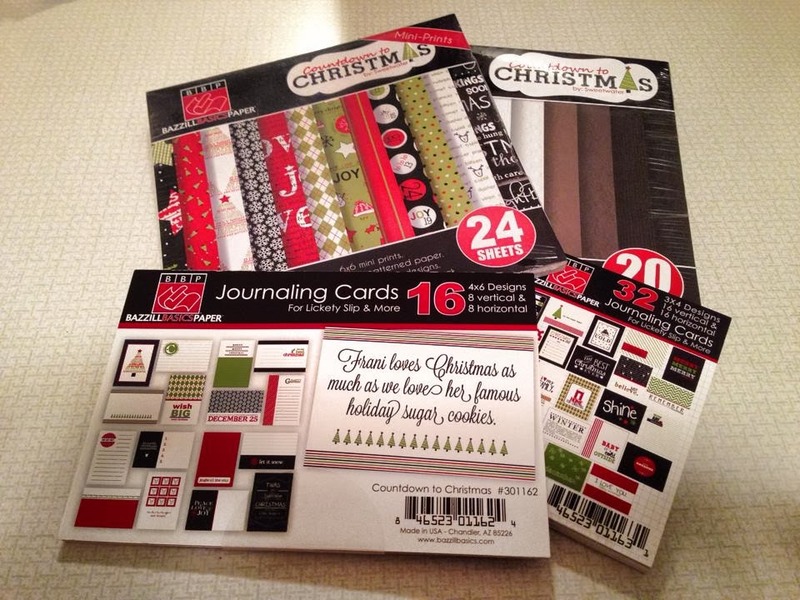 Cuttin and Stampin’ is an on-trend, one stop shop. Our top-notch Design Team has been going strong with fabulous projects and inspiration for the last year. We have a Facebook group (https://www.facebook.com/CuttinandStampin) that provides daily projects that the DT has created. Our retail store (https://www.facebook.com/groups/540604169350647/) is providing current products at a discount price, and A+ customer service. New items will be showcased every Friday, along with weekly featured items and sales. and now on to Kathy. What a fun project! I finally have time to get myself hopping! Happy Thanksgiving! Cute card - love the colors. Cute card! I like the papers & the stamp/sentiment you used. I liked your fb page, the sponsors, and I love the card. 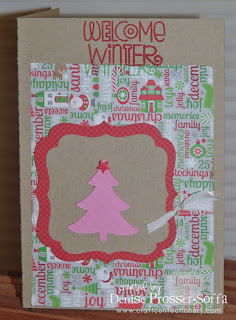 I have a pack of premade kraft cards and have not decided what to create with them, great ideas! I love the paper you used!!! It's so fun. Thanks for sharing. Wonderful paper choice for your darling card - TFS! I love the paper you used for this card. Great job! Lovely card! i love the christmas tree and the paper ! Love this card! The colors are so bright and cheerful!